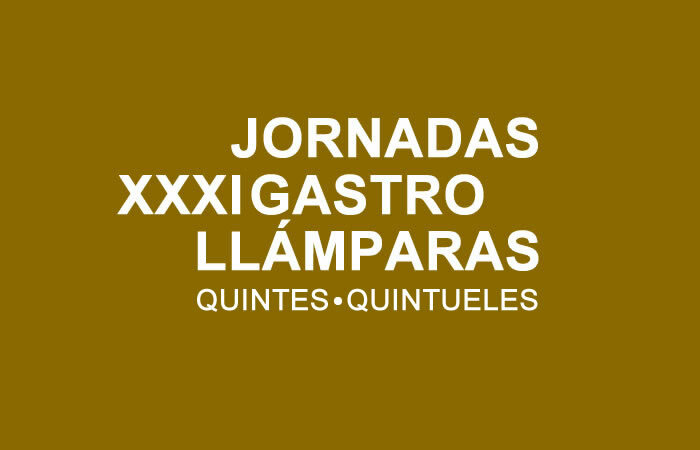 From May 11 to 20 the 31 edition of the Gastronomic Days of the Lampara takes place, in the towns of Quintes and Quintueles, in the municipality of Villaviciosa. On Saturday 12 of May at 20 hours the reading will be read, there will be delivery of the "Golden Lamp" and the dinner of partners will take place. · Quintueles: Rte. House Koty, Rte. Desi-Pochi, Grill Isidro. They are organized by the Clarin de Quintes Recreational Cultural Society and the Caja Rural and Villaviciosa City Council collaborate.